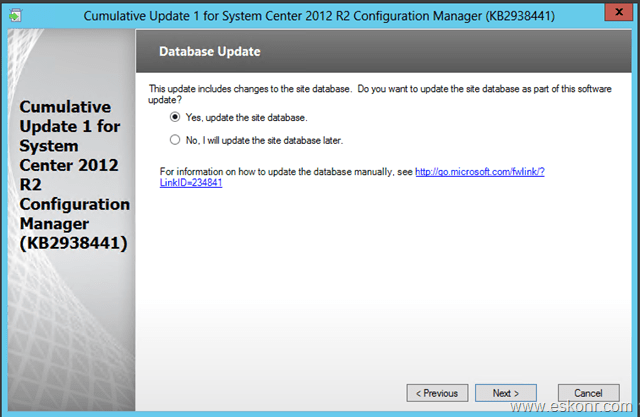 Installation of any Cumulative Update is straight forward process (so Far) by clicking Next,Next ,Next and is simple to consider but you should be cautious before doing the upgrade like taking up the backup of Configmgr and should be recent one,make sure your site is running in good condition. My Lab Hierarchy Consists of 1 Primary,1 Secondary and 2 Distribution points with several clients. all servers running on windows server 2012 OS. What is the Hierarchy to install the Update ? You should come from top to bottom (Means from CAS if you have, else Primary to secondary's). 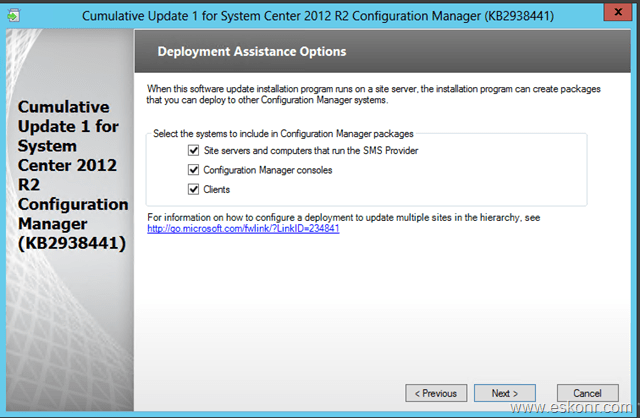 I have divided this task into 2 posts 1) How to install Configmgr 2012 R2 CU1 on Primary Site 2) How to install Configmgr 2012 R2 CU1 on Secondary Site and upgrade Clients. so,we are now ready to upgrade Primary Site to CU1 after having good backup of Site.Make sure you close the Configmgr Console connections if any. Here is my Primary Site properties.You might be wondering why did i capture the screenshot,This is not because to check the Version of Site is updated to New(of course it is one of the Reason) but also compare if any Information available in the Properties of Primary site about what is the CU level and What version are we running like R2 etc as you might have seen in Configmgr 2007 about R2 or R3 etc in Site Properties. Download the Hotfix,Unzip and install CM12-R2CU1-KB2938441-X64-ENU.exe. this step will create packages with programs which you can deploy to other configuration manager systems like SMS provider,Console and clients. By Default,It will select the default location ,if you want to provide custom name,you can do so but i like the default options. 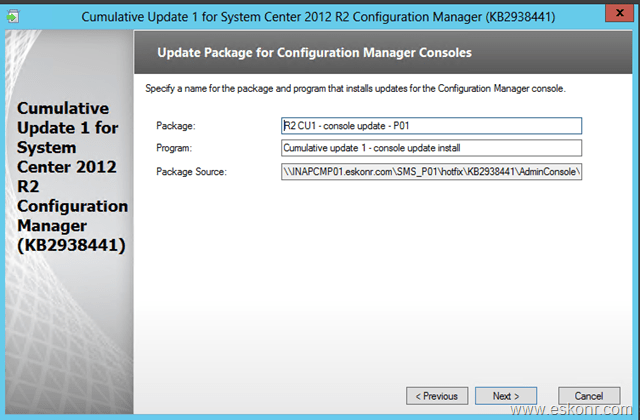 This package is for Configmgr Admin Console. This package is for X86 and X64 clients. we are done with most of the steps, and ready to start the installation. We have successfully installed CU1 on Primary Site. Before you open the Configmgr Console,lets have a look at folder structure for the packages what has been created during the installation. you can see these packages created in Console. Now lets open the Console and see what has been changed to the console ? If you compare the above pic and the one which we capture before we upgrade to CU1,both are same.there are no changes with respect to displaying the CU information in Site properties but lets check the console if it has updated or not. 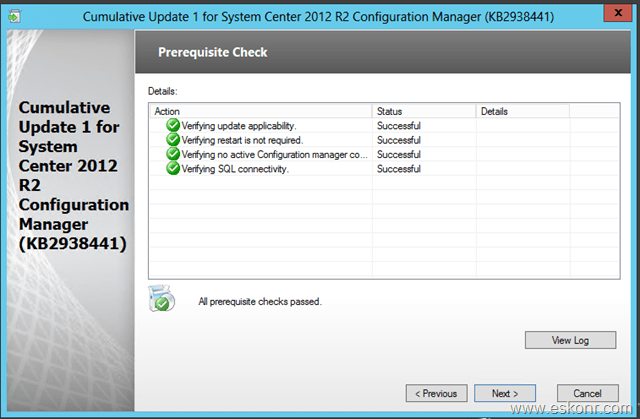 so we are done with Installation of Configmgr 2012 R2 CU1 on primary Site and verified it is successfully installed by looking at Registry Key and also from admin Console. Note:You do not have to restart the computer after you apply this update. 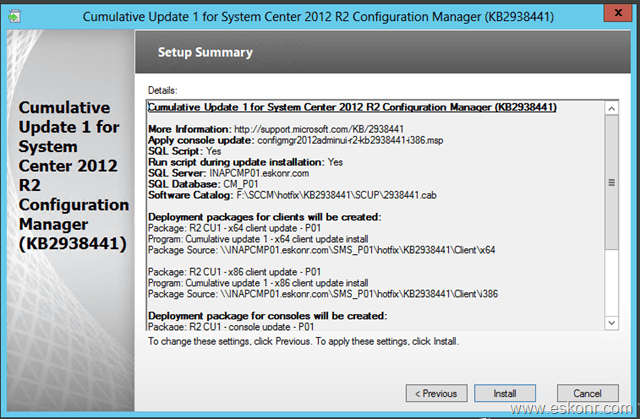 20 Responses to "How to Install Configmgr 2012 R2 CU1 Part 1"
Ok. Here is how I worked though this problem. 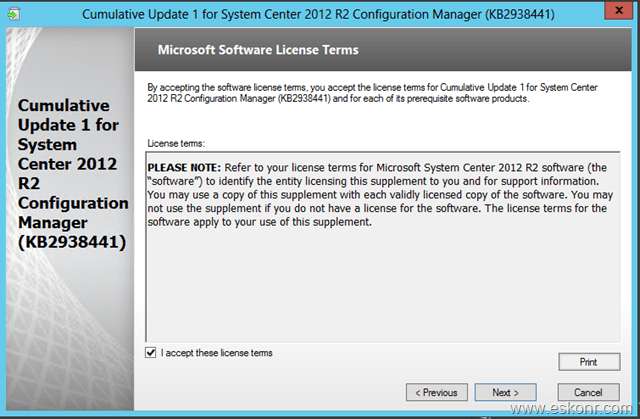 Essentially, I uninstalled the SCCM R2 CU1 and re-installed. 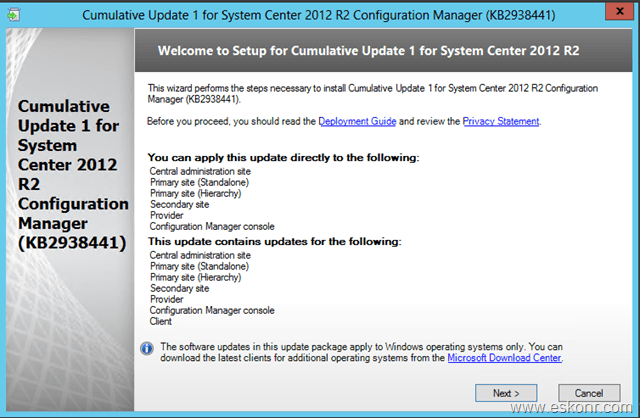 Since I was unable to uninstall the cumulative update from control panel, I used a blog which describes how to uninstall a Configuration Manager cumulative update from the command prompt. 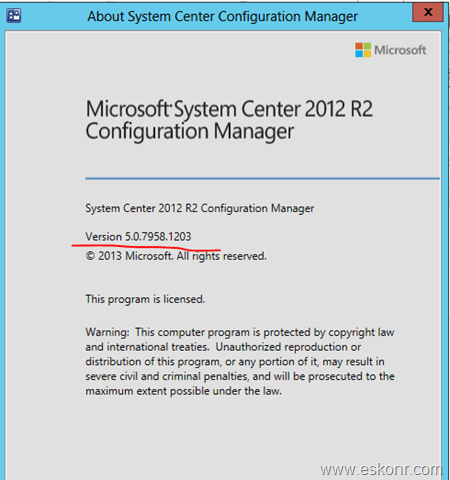 From here I was able reboot the server and run and complete the SCCM R2 CU1 setup without any errors. looks good.if the downloaded bits are corrupted,it will screw up the installation and it is always suggested to install the media in the lab first and then take it to production rather directly playing in production to avoid any such issues.It happened to once in the lab with CU1 where in,the version of CU1 show 1202 instead 1203 which due to corrupted bits or dont know why but re-downloading the media solved the issue. Sadly to report that downloading the cumulative update a second time did not work either. I'm really scratching my head on this one. Have any other suggestions? can u post me the log or uploaded to somewhere on the web which i can download to have a look at it ? I checked the log file and did not find anything related to internet connectivity or permissions... Here is what I did find in the error from the cm12-r2cu1-kb2938441-x64-enu log file located in the %windir%\temp directory. I have also started a thread on TechNet (http://social.technet.microsoft.com/Forums/en-US/c3b2fb50-0925-4822-ba62-1b547d95add1/failed-install-of-cumlative-update-1-for-sccm-2012-r2?forum=configmanagergeneral) There are a few screen shots of the error message and error log there, if you would like to take a look. “Task ‘Create Software Update Catalog’ completed, state is ‘failed’ ExceptionText: Error: Setup detected an unexpected problem during installation. Error message: A valid file name is required. seems like the bits what you have downloaded are corrputed. can you try to redownload the CU1 and try to run the setup. 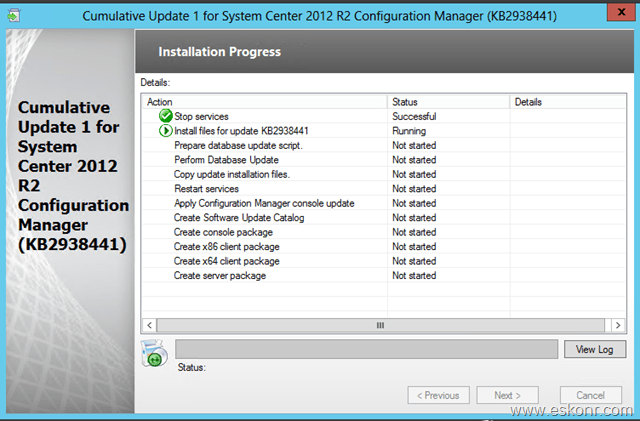 When installing the SCCM R2 Cumulative Update 1 in my test lab (with no internet access), the setup goes fine until I get to the part where the wizard says “Create Software Update Catalog” and then it fails with an error. When I re-run the setup the wizard skips to the parts that were already updated and goes directly to the same part and fails. The failure occurs at the creation of the software update catalog. I have been searching the web, but have been unsuccessful in finding a solution to my problem. 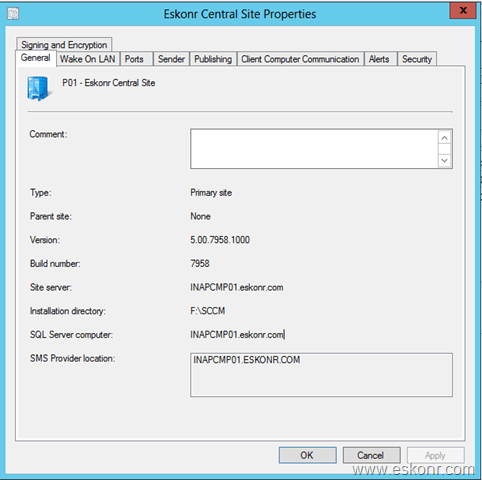 I am wondering if it is because my test lab does not have internet access or something permission based regarding the SCCM network access account. I am kind of at a loss right now and any assistance is greatly appreciated! I can also provide screen shots. what dooes the log says ? open log and see the entries in Red color ? if they need to connect to internet or something related to permission issues. 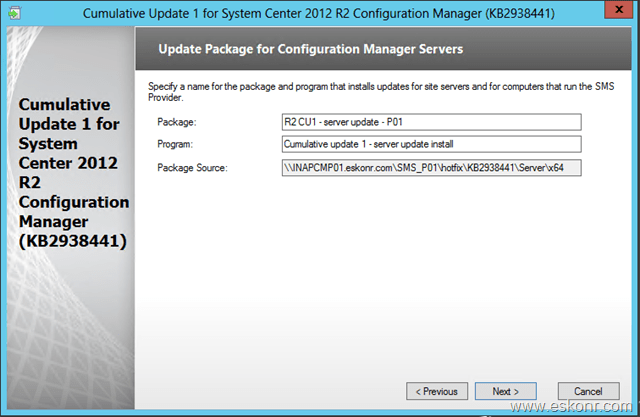 I did the update of the Standalone Primary server and I let the installer create the update package for client. I've deployed it on some client and they were updated well if I check directly on each of them. BUT, reporting seems broken because in the console and reports, they still figure as R2 RTM (.1000). Client versions are reported by heartbeat discovery.So you have to check what is your heartbeat discovery schedule is defined ? by default ,it will be set to 7 days.if you want your clients get updated fast,you need to either decrease the heartbeat interval or do manual client action for Data discovery cycle. sure Eswar.. i have one other query like whether we need to deploy this update only from a higher hierarchy to lower that is CAS-PRI-SEC SITE or can it be installed on Primary then to CAS & Secondary.. ??? Is there any specific order.. This might sound silly but just wanted to clarify it. always from Top to Bottom.Install this on CAS and then go with software distribution method or manual ..its upto you. Thanks Eswar, i came to know about the update from ur forum first and lot others when i checked. So i was curious to know it. Sure, i will be installing this update in our lab & production environment. I have already started the process.. I got the answer for the second question. Actually I went to wrong description due to which there was a confusion. Kindly let me know for the first one. Thanks! Thanks for the detailed description about CU1. I have two generic questions to be known. 1. 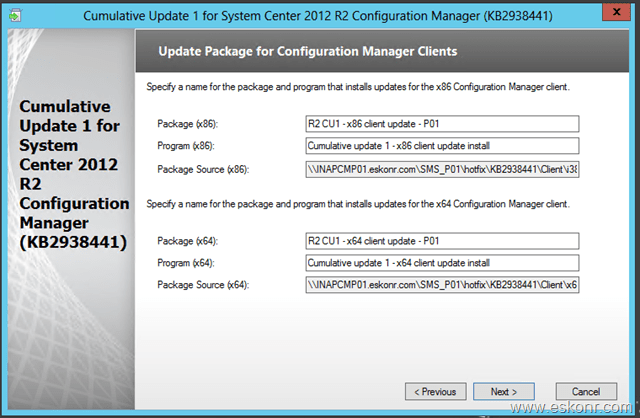 How to get an instant notification when there is an update released for SCCM? 2. You have mentioned the issues that are fixed in this update very clearly. Thanks to that. I went through the KB - More Information - Issues fixed, it is bit difficult for me to understand that. But how did you classify the issues that are fixed as you have mentioned. 1)i have not registered anywhere to get notification but people on the forums, social networking sites share the info. So we know. 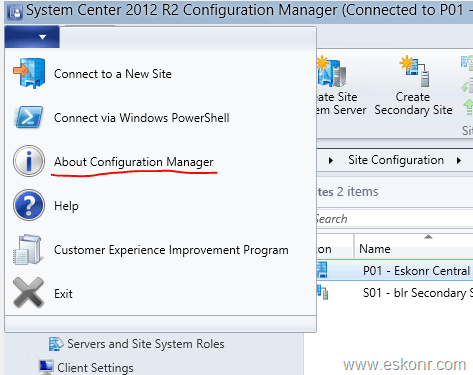 2)you may not seen all the issuess in configmgr r2 which are given in kb article but these issues are identified by Microsoft /customers to get them fixed. I have seen couple of issues in lab like software center showing wrong date for app like 1998 etc. 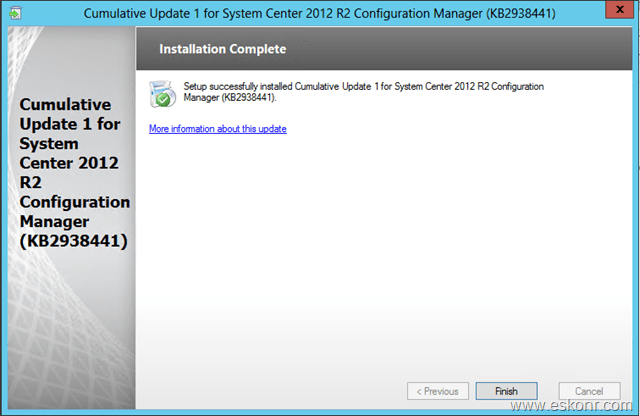 But it is always good to install this patch as you may come across the issue ANYTIME in future which is fixed in CU1.